Q. Why do we praise God? Saint Philip’s tradition of excellence in music is one of the cornerstones of our parish and the wider community of Tucson. From our two adult choirs, which grace our worship every Sunday, to our Saint Nicholas Children’s and Youth choir, who provide inspired leadership in one of the ancient liturgies of the church at monthly Solemn Evensong, to the many concerts, our After School Music Program, and other musical events presented at Saint Philip’s throughout the year, our lives are inspired by the joyful noises made by our musicians to the glory of God. It takes a large number of volunteers and professionals to support the robust music program. These include a wonderful group of music librarians, staff singers, and Royal School of Church Music officers. Learn more about our staff and volunteers by clicking on the music staff button below. 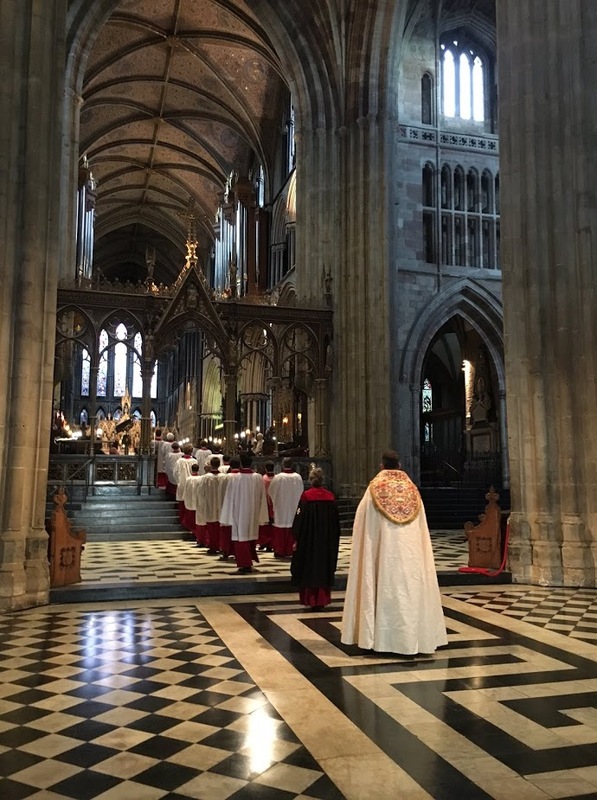 We invite you to listen to the Saint Nicholas Youth Choir and Schola Cantorum adults, in these audio clips recorded in July 2016 immediately before the choirs traveled to Worcester Cathedral to sing in residence. Saint Philip’s in the Hills has a reputation for bringing the finest quality choral music to our worship services by incorporating great choral masterworks into the liturgy, accompanied by chamber orchestra. This long tradition gives members of the community the opportunity to experience this wonderful music in its sacred context being offered for its original purpose — the adoration of God. First Sunday music begins in October and runs through May. To see the schedule for first Sundays, as well as other services incorporating special music, please click “First Sunday” below. Saint Philip’s offers Choral Evensong based on the 1662 Book of Common Prayer, preceded by a brief organ concert, on every third Sunday of the program year (October through May); the recital begins at 4:00pm; Evensong, led by the Saint Nicholas Choir and Schola Cantorum, follows at 4:30pm. Free-will offerings are collected to help pay an honorarium to our guest artists. Music at Saint Philip's is supported and encouraged by the work of the Friends of Music. Its mission is to enrich the musical experiences of the parish and wider community by providing concerts, community outreach, education, scholarships, commissioned works and support of special musical events, ultimately enhancing parish growth and providing support to other ministries. You can learn more about Friends of Music by clicking below. Open to all adults with basic choral skills who want to participate and who have a strong commitment to regular attendance and willingness to practice outside regular rehearsals. This choir averages about 50 people. The Director of Music leads this choir with the assistance of the Associate Music Director/Organist. An auditioned choir consisting of about 24 musicians who are willing to make the commitment to be at all major services, both Sundays and Feast Days, and continue their musical training. Canterbury Apprentices are youth from Saint Nicholas Choir, young men with changed voices and high school women, who audition to join Canterbury Choir. The Director of Music leads this choir with the assistance of the Associate Music Director/Organist. Eight professional singers who attend all rehearsals of both adult choirs and all services as required. A small group of auditioned adults who sing at the 4:30pm Evensong service held once a month, as well as other special liturgies throughout the year. The singers are volunteer altos, tenors, and basses, with the sopranos being the trebles from the Saint Nicholas Choir. The Director of Music leads this choir with the assistance of the Associate Music Director/Organist. Saint Philip’s is a parish where we work together to raise young musicians in a warm and supportive environment. We work closely with Royal School of Church Music America, an organization that endorses high-quality choral music in sacred context. We believe our training offers not only knowledge of how to sing, but leadership skills, discipline, music theory, liturgical understanding, and experience, as well as building long-lasting friendships and community. 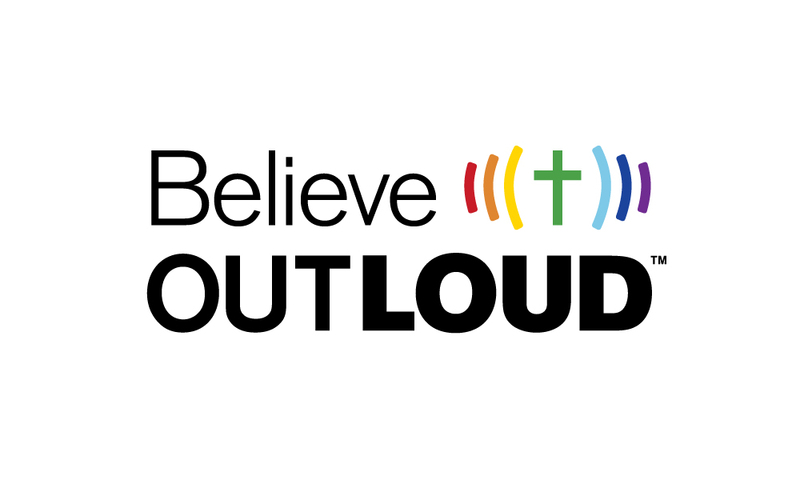 We have choirs that are designed to fit appropriate age groups, their interests and growth. 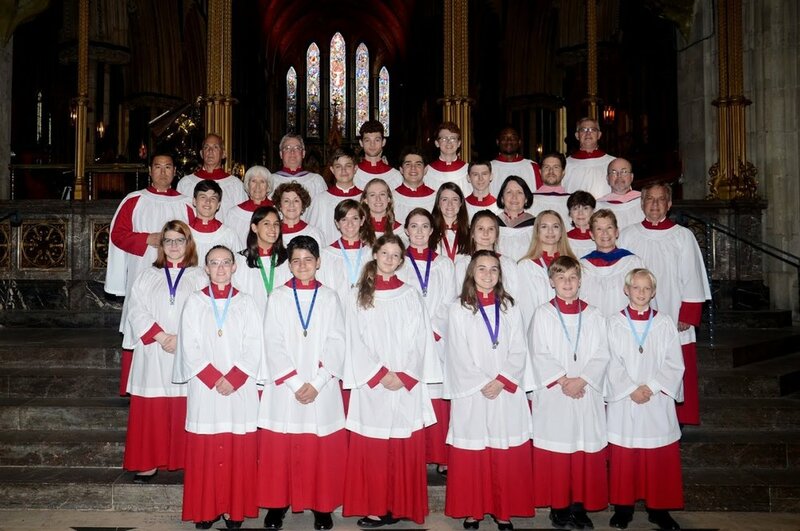 Boys and girls age 9 through high school or until voice change, who practice weekly and sing at the Sunday worship services twice a month, and lead Choral Evensong on third Sundays October–May. The children study from the Royal School of Church Music curriculum. Certain outstanding members are sponsored to attend the summer RSCM conventions. The Director of Music directs this choir with the assistance of the Associate Director/Organist. The Saint Cecilia Choir (children ages 7–8) sings at Sunday services twice a month and the Cherub Choir (children ages 4–7) sings at a Sunday service once a month. The Director of Music leads our Children’s Choirs. For more information about choirs, including joining the right choir for you, contact Jeffrey Campbell by clicking the Contact button below or by calling the church office at 520.299.6421. Middle School Training Bells with rehearsals on Sundays at 12:30pm. Adult Performance Ensemble. This bell choir helps lead worship on selected Sundays and special occasions. Rehearsals on Monday evenings at 6:00pm. You can learn more about the Holtkamp Organ and our other instruments by clicking the button below.